Forza Horizon 4 is undoubtedly a beautiful game, and we had the chance to experience it in all its 4K glory on the Xbox One X at a recent preview event hosted at the McLaren Technology Centre in Woking, Surrey. Set in beautiful, historic Britain, this is the fourth installment in Playground’s excellent open-world racing game series, but based on our hands-on experience with the game – it’s could very well be the best one yet. We’ll have to wait until launch before making that final judgement, but for now, you can check out the introduction of Forza Horizon 4 that we played at the event. 20 minutes of beautiful and crisp native 4K gameplay captured from the Xbox One X. 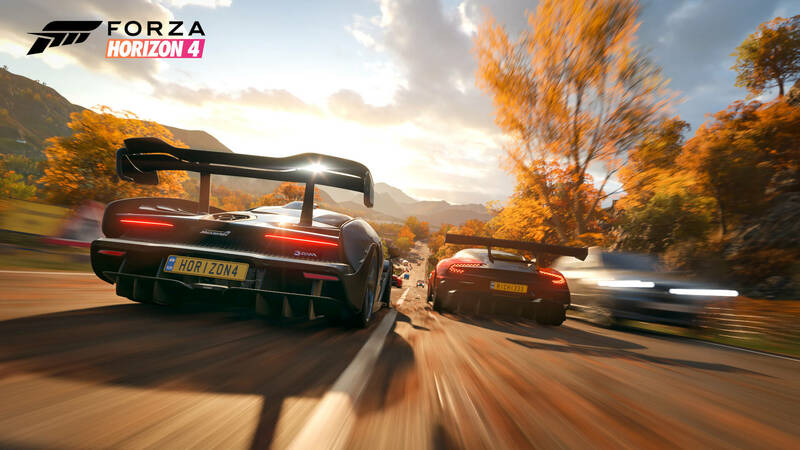 The video includes a quick glimpse at the launch screen for Forza Horizon 4, which features the 2019 McLaren Senna driving through the roads of beautiful Britain, as well as the exciting opening cinematic of the game. Following this initial scene, we’re thrusted straight into gameplay as we drive though all four seasons in Forza Horizon 4. That means the McLaren Senna in Autumn, the RJ Anderson Pro Trophy Truck in Winter, the rally-tuned Ford M-Sport Fiesta RS in Spring, and finally, the Senna once more at Summer as we head to the Horizon Festival for the final stretch of this unique opening event. Upon arriving at the Horizon Festival, the game offers a choice between 12 different characters to represent you in-game. These include both male and female models, and as you continue to progress, you’re able to personalize them with different types of clothing, outfits and accessories. From here, we also have a choice of starter car – including the 2017 Ford Focus RS, the 2015 Audi TTS RS Coupé and the 1969 Dodge Charger R/T. We naturally chose the hatchback, especially with it being one of Alan’s favourites, and took it for a quick spin around beautiful Britain as we chased sheep and competed in the first race event of the Horizon Road Racing series. For more, be sure to check out the 4K video for yourself at the top of the story, and should you want to see the opening to Forza Horizon 4 in its 60fps ‘Performance’ mode on the Xbox One X instead, our very own Tom Matthews has that covered for you in his own video above. Otherwise, you can read our full in-depth hands-on preview with the game. Be on the lookout for more coverage from Forza Horizon 4 to drop over the coming days as part of our curated assortment of exclusive coverage for the upcoming open-world racer.